Abhay Sharma is an International Best Selling Author, Consultant, and Training Automation Expert. He is the creator of High Growth Training Automation Model which not only allows to automate the training business but also helps in setting up solid foundation for highly qualified free leads. 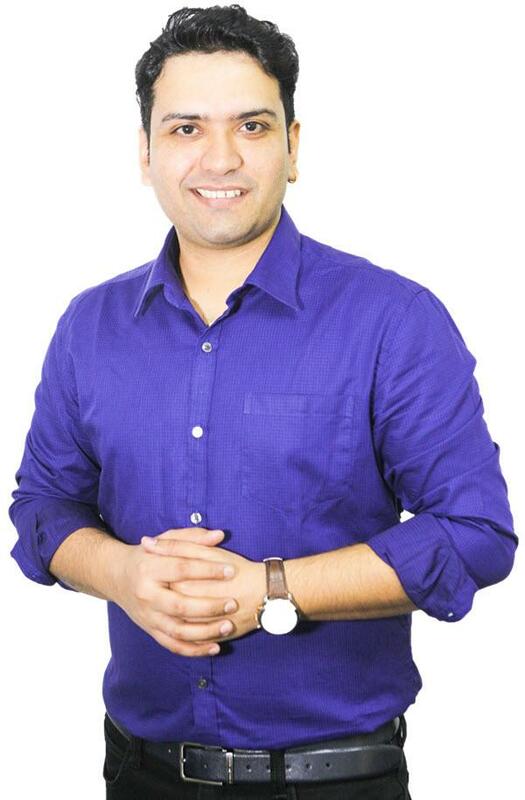 After completing his engineering in 2007, Abhay Sharma spent about 8 years in corporate world consulting and implementing enterprise solutions for various industries and managing multi-million dollar projects. In a very short span of time, he was promoted to management from a Software Developer position. When Abhay was at the peak of his corporate career and has been offered great opportunities (like working from home, moving to USA and handle business practices: which is a dream of every working professional), he decided to quit is job to start his entrepreneurial journey. Short after quitting his job, Abhay found himself in the trap of "trading time for money" and training endless hours to make any money. It used to take about 6 working days for him to finish one training batch with and hit by numerous challenges. Abhay started exploring online business space (especially for training) and launched his first online course on a popular platform called Udemy. Today, he has more than 35,000 students learning from over 170 countries. He was able to launch his Main training program (high ticket) and automated the entire marketing, sales and operations process using his High-Growth Training Automation model. Now, that business is generating revenue every single day without him training actively and he is able to work towards the growth of his another businesses and helping people automate their training programs. Abhay is on the mission to help Successful Trainers, Consultants, and Coaches, to build and automate online business for consistent income, so they can have greater control over their business growth, spend quality time with their loved ones, and make an impact globally. Ready to start your online automation journey with Abhay? Want To Launch Your First Online Course In 7 Days Or Less? Fastest Way To Get Started With Your Online Journey!